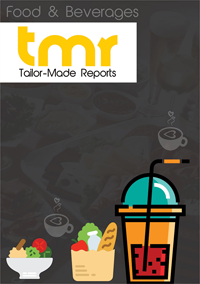 This report on the global bubble tea market is a comprehensive market intelligence study that brings forth the lucrativeness of the said market. Beginning with an executive summary that comprise a snapshot of how the demand for Bubble Tea has evolved over the recent past and where is it headed to in the future, the report delves into the analysis of various market dynamics, such as opportunities, trends, challenges, and drivers. A detailed overview of the said market with the analysis of porter’s five forces has been provided in a bid to present a concise and clear landscape of the market vendors to the readers. The market intelligence study also points at mergers, important conglomerates, numerous research and development activities, acquisitions, and corroborations. The said publication allows market stakeholders to study the market in detail and carefully and take well-informed decisions so as to optimize profit and minimize cost. The world market for bubble tea is expected to grow at a robust CAGR and is anticipated to attain a significant market valuation by the end of the period of forecast. Bubble tea comes with various different names such as boba tea, pearl milk tea, boba juice, bubble milk tea, or just bubble tea. It is made by making use of tea as the base component, whilst the addition of chewy tapioca balls can result in better experience to this beverage. Bubble tea is available in various different flavors with many different flavored tapioca balls. It comes with attributes such as anti-inflammatory and anti-carcinogenic properties, low calorie and low-fat content, rich in antioxidants. A few of the most common flavors preferred by users in bubble tea comprise chocolate, passion fruit, honeydew, taro, plum, lychee, strawberry, ginger, coffee, peach, mango, and with fruit flavor being the dominant one and it is followed by chocolate and original flavor bubble tea. Manufactures of this ready-to-drink beverage have maintained its cost-effectiveness, thereby driving the world market for bubble tea. In addition to this, the addition of fruits & jellies to the bubble tea together with the benefits of tea supplements the growth. The market vendors have been forecasted to obtain new opportunities as there has been an increased emphasis on spending more on the work of research and development by many of the Bubble Tea manufacturing companies thereby driving further growth of the said market. In addition to that, many of the market participants are anticipated to make a foray into the emerging economies that are yet to be explored so as to find new opportunities. The geographical segmentation of the world market for bubble tea is divided into Europe, North America, Latin America, and Asia Pacific. The Asia-Pacific bubble tea market is experiencing a rapid rate of growth, as bubble tea has garnered popularity owing to its low price, improved taste, and availability of varied and novel flavors. In addition to this, rapid urbanization and growth of ready-to-drink beverages in the region is set to drive the growth of the market. A few leading market players that are operating in the world market for bubble tea comprise eminent names such as Fokus Inc., Gong Cha USA, Lollicup USA Inc., Bubble Tea House Company, Troika JC. (Qbubble), Boba Box Limited, Ten Ren's Tea Time, CuppoTee Company, Boba Tea Company, and Sumos Sdn Bhd.